Packaged in a 1.7 oz. 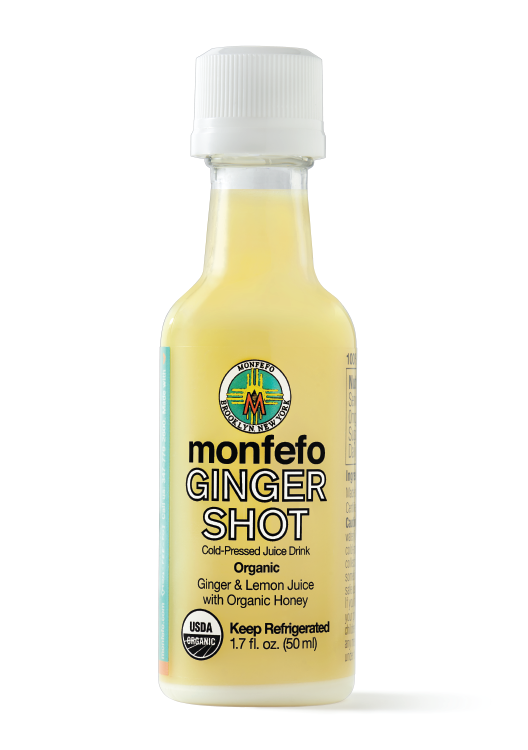 shot bottle, Monfefo (‘mon-fee-fo’) is a high pressure processed (HPP) blend of that is made with three simple organic ingredients: ginger, lemon, and honey. The result is something that’s flavorful and intense, but also very fresh tasting. 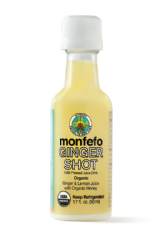 The ginger flavor is far and away the primary flavor of the product. The spice from it continues to build as you consume the beverage (which is presumably quickly since this is a shot) and lingers for a while. The lemon and honey take the edge off ever so slightly, which definitely makes you want to consume another. Plus, the use of HPP helps keep the product as fresh tasting as it would be if you had it in a juice shop. As far as packaging goes, the 1.7 oz. (50 mL) format is typically used for alcohol “nips” or airplane bottles. To that end, it doesn’t exactly have a premium feeling to it, which, at least in our opinion, could be improved upon with better use of the label’s limited real estate (or perhaps a colored background). This would certainly help Monfefo establish its brand as opposed to being viewed as a commodity. Otherwise, the product is intuitive in terms of the copy that the company has placed on the bottle and there’s no mistaking what it's all about. All in all, Monfefo despite having room for growth on the design front, a nice entry into the nascent cold-pressed shot category.